Never Ending Food is proud to introduce our newest intern, Jacob Jumpha. Jacob lives in the village of Chalira, about 2 kilometers from Never Ending Food. We first met Jacob in 2011, when he was 15 years old. 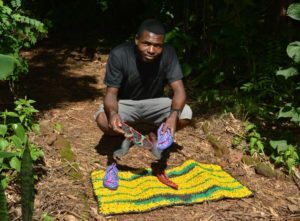 At that time, he was still in school and working with a local group called ‘New Life Permaculture‘, which recycles plastic into bags, mats, shoes, hats, and various other products. At that time, we created a page on our website highlighting some of his activities. Jacob has now graduated from school and continues to work with this group, even traveling to teach other people how to make similar products. Since joining the Never Ending Food team, Jacob has attended a one-week Action for Natural Medicine (ANAMED) training, which taught him how to identify and safely use commonly found natural medicines. He has also been involved in teaching the numerous groups that come to visit us here at Never Ending Food (recently this has included university students, refugees, reporters, local community members, and even a Group Village Headman). 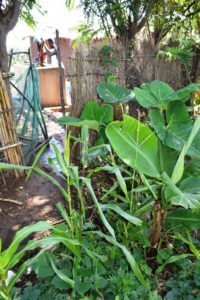 As part of his internship, Jacob is currently learning about–and practicing–Permaculture here at Never Ending Food, as well as around his own home. He has recently embarked on helping to create a design for his parent’s home. 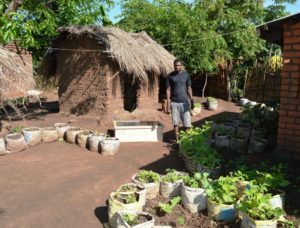 His passion is unrivaled, and he has already inspired several people in his village–as well as in nearby villages–to begin taking up Permaculture ideas. 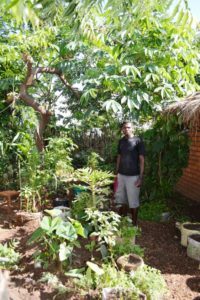 The end-goal is to eventually get Jacob certified in Permaculture Design and then continue using these skills to make Malawi a healthier and more sustainable nation. He is an inspiration, a role model, and we are honored to have him as an intern. Keep up the great work Jacob! Jacob showing newly established container gardens and solar dryer at his parent’s house. Jacob harvesting grey water from the community washing area into his yard. Jacob’s front yard–full of foods and natural medicines. 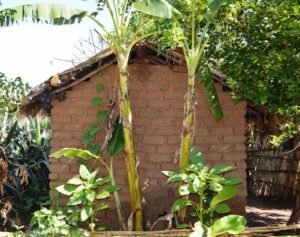 Jacob’s bathing area, reusing grey water to grow bananas. Refugees Visit Never Ending Food!